McCrae Yacht Club employs its own Yachting Australia accredited Club Coach, who can provide private sailing lessons/coaching for individuals and/or small groups using the fantastic resources of our club and at a time that is mutually suitable. Private Coaching is available for people of all abilities and ages provided that participants are adequate swimmers and physically capable of climbing into a boat after capsize. McCrae Yacht Club is one of a handful of clubs in Victoria who have a dedicated Club Coach. Great if you want to get a shower before the hot water runs out!!! Want to sharpen up your boat handling before Regatta Season? Then come down to McCrae on Friday Nights! McCrae Yacht Club offers and can provide coaching programs to your class. Coaching sessions can be booked for single sessions, or a series. 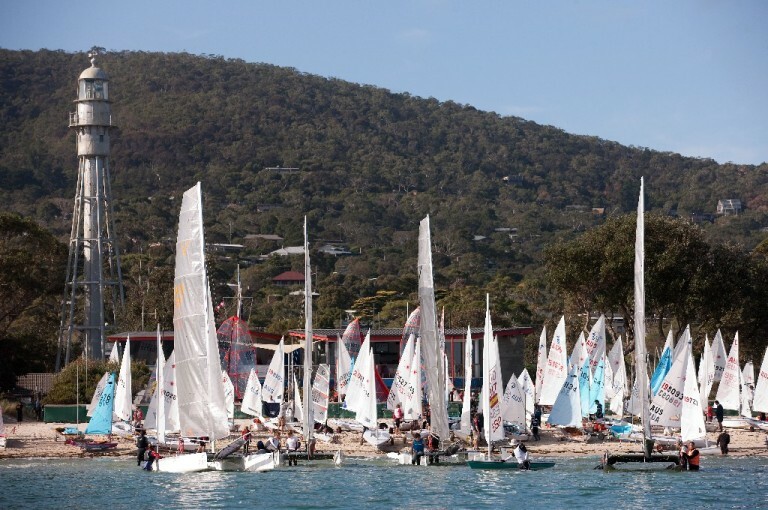 off-the-beach sailing sites in Australia. Combining these features with a superb destination for sailing, McCrae should be your first choice for your Class/Association Coaching. Looking for that edge over your competitors? Keen to brush up your skills in a one-on-one setting? Then private coaching could be the answer! Note: When you purchase a session or group of sessions, you will receive a confirmation via email and the coach will contact you to arrange a suitable time.